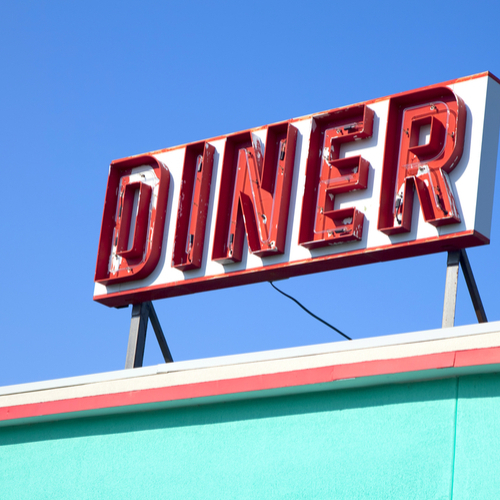 Here are the places we love to frequent, which is your favorite restaurant? Angie’s Subs – Highly recommended by many of the UNF students, this sub place is anything but ordinary. More on the casual side, you can order at the counter and have your sub brought to your table. Serving everything from tuna sub to vegetarian, this beachside location also has a cheeseburger sub. Sounds like this is a definite must stop! Open from 10:00 am-9:00 pm every day and Sunday from 11:00 am-4:00 pm. Bahama Breeze Island Grill – Caribbean-inspired food with a vibrant island atmosphere. Music plays a major part in our restaurant’s fun island-vibe. Conveniently located 5 minutes from the UNF campus near E Beltway 295 and St Johns Town Center Mall. Hours are 11:00 am-11:00 pm Monday – Thursday and open until midnight Friday and Saturday. California Pizza Kitchen – Specializing in pizzas and salad, CPK has something for everyone. From soups, salads, flatbread, and pizzas this is the perfect place to bring the whole family. Open daily from 11:00 am-10:00 pm (Sunday’s closing at 8) CPK offers lunch and dinner. Gilbert’s Social – Bar-b-que meets southern charm. We found this restaurant by looking for a typical bar-b-que place and Gilbert’s Social is anything but typical. The menu has everything from pulled turkey leg to burnt ends, which are the burnt ends of the brisket. Open Monday – Saturday from 11:00am-9:00 pm and closed on Sundays. Reservations are highly recommended. Alexander’s – Restaurant chain serving wood-fired American fare in a contemporary space with a bar. The menu features a wide selection of American classics including prime rib of beef, steaks, fresh seafood, sandwiches and entrée salads. The restaurant has a full-service bare. Hours are 11:00 am-10:00 pm closing at 11:00 pm on Friday and Saturday and 9:00 pm on Sunday. Maggiano’s Italian Restaurant – Semi-upscale chain for classic Italian fare served family-style in a relaxed, polished space. Maggiano’s is the perfect place to take a large group of your student’s friends or family. With fair prices and good food, Maggiano’s is always a good choice. Moxie’s Kitchen and Cocktails – Industrial-chic scene with a glam vibe plating carefully-sourced American fare & stylish drinks. Moxie’s has something for everyone with a very eclectic menu. This locally owned and locally grown restaurant just opened its second location a year ago. Open every day from 11:00-10:00, weekend hours are extended. Reservations are not required but suggested. Seasons 52 – Calorie-conscious diners will have a field day at Seasons 52. Delicious meals cooked with fresh ingredients and delivered to your table in a casually sophisticated atmosphere. When looking for variety and something different Seasons 52 will put a check in all of your boxes. Open for lunch and dinner and brunch on Sundays. The hours are Sunday 10:00 am-9:00 pm, Monday-Thursday 11:00 am-10:00 pm and Friday and Saturday 11:00 am-11:00 pm. The Capital Grille – Although this may be on the expensive side, the food at The Capital Grille is well worth it. The upscale restaurant offers the finest of everything from delicious appetizers to soups and salads for lunch and the dinner menu incorporates steak, lamb, chicken, and fish. And don’t forget the incredible side dishes! Hours vary at the Jacksonville location and a reservation is highly recommended. The House of Leaf and Bean – This organic restaurant is a little bit further away from UNF those most of the restaurants listen but it is well worth the short drive. The menu is a healthy mix of Asian and Western foods. The offer vegan, vegetarian, gluten-free and low carb options while serving meat as well. They have smoothies, coffee, and even alcoholic beverages. Closed on Mondays they offer lunch and dinner options. Topgolf – We know what you are thinking..a good restaurant in an interactive golfing top spot? YES, this restaurant is delicious! Granted you can order food while you golf, however, if you want to take some time while you wait for your golfing range to be available then consider Topgolf restaurant. The menu has pages and pages of different choices. Brunch is also offered weekdays until noon and weekends until 2:00 pm. The restaurant is open 9:00am-12:00 am every day with Friday and Saturday closing at 2:00 am. Burrito Gallery – With 3 locations there will never be a shortage of burritos! From burritos to salads, tacos and “dillas” there is something for everyone on this menu. One location is downtown, one location is at Jax beach and one location is called Burrito Gallery Brooklyn. All 3 menus are very similar. Hours vary with each location. Bellwether – Dine In or take out, Bellwether is great for lunch, dinner or happy hour. Bellwether has a very eclectic southern inspired menu with some Korean flare as well. The menu is quite varied so make sure you review it before headed out. Bellwether is open for lunch and dinner and closed on Sundays. Reservations are only available for parties of 6 or more. Casa Dora – Very casual Italian eatery. Specializing in pizza Casa Dora serves pasta, main dishes, and subs. Perfect spot if you want to bring in dinner! 13 Gypsies – With a heritage rooted in Spain, 13 Gypsies strives and succeeds in bringing a taste of True Mediterranean flavors. Homemade bread, spices, sausage, cheese, and pickled vegetables 13 Gypsies is a treat for any palette. Closed on the weekends 13 Gypsies is open 11:00 am-2:00 pm and 5:00 pm-10:00 pm reservations are highly recommended. Biscottis – This lively bistro serves small plates, sandwiches, salads & brunch in a historic, brick-lined space. Biscottis has a wide and interesting menu along with an enticing brunch menu. Hours vary daily. Black Sheep – Casual eatery serving lunch and dinner. Bar food at its finest, you can’t go wrong at this Jax favorite. Closed on Mondays hours vary daily and open for brunch on Saturday and Sunday. Bread & Board – Think of the Bread & Board as equal parts fun-loving sandwich shop and fine dining kitchen. The Bread & Board is an independently owned, fast casual restaurant. The Bread and Board serve classic deli sandwiches and uses premium, house-made ingredients to make your meal an experience you won’t forget. Reservations are not accepted. Open daily from 11:00am-10:00pm. Carmine’s Pie House – Chicago deep-dish & NYC-style pies are on offer at this vibrant local pizza pub with pasta & subs. Open for lunch and dinner every day from 11:00 am – 10:30 pm. Casbah Café – Festive spot with a lively bar, Middle Eastern fare, hookahs & belly dancing. From lamb kabobs to falafel this is a must go to when in the area. Open from 11:00am – 2:00am daily. European Street Café – With 3 locations, check out this casual German-inspired restaurant with a patio offering a huge selection of beer, pub grub & sweets. Open every day from 10:00am-9:00pm. Hovan Mediterranean Gourmet – Mediterranean fare such as falafel, kebabs & lavash wraps at a bright counter serve with a patio. Closed on Sundays and open every other day from 10:00 am-9:30 pm. Mossfire Grill – Spice, Fresh Fun! Mossfire is not your typical “everything made from scratch” restaurant. Rustic mainstay featuring Tex-Mex comfort food downstairs & a tequila bar upstairs. Closed on Mondays open every day from 11:00 am-10:00 pm. Orsay – A bit on the pricier side, this might just be the perfect place for graduation dinner. Seasonal French food & creative cocktails meet in this dining room with plush seats & exposed beams. Hours vary and reservations are requested. Sake House – 3 locations in the Jacksonville area this Japanese eatery offers sushi & hibachi fare in a laid-back atmosphere with reasonable prices. Hours vary by location. Green Erth Bistro – No we didn’t make a mistake in the spelling of this health-focused café. Enjoy Middle Eastern kebabs, wraps & spreads, plus vegan options, in this warm inviting location. Open from 11:00am-2:30pm and 5:30pm-9:00pm and closed on Sundays. Matthew’s Restaurant – Matthew’s is set in the heart of San Marco and hosts a variety of fine dining options with a vast wine list. Open only for dinner from 5:00 pm-10:00 pm Monday – Saturday. Reservations are recommended. Taverna San Marco – Trendy wine bar serving brick-oven pizzas & seasonal Italian & Spanish food. Warm and cozy décor makes this a must go to. Walk-ins are welcome but reservations are recommended. Open daily from 11:00 am-10:00 pm. Town Hall – This new American style restaurant is the talk of the town. With an artisan inspired menu, this farm fresh place is not to be missed. Open for dinner nightly and brunch on Sundays. The Wine Cellar – Since 1974 The Wine Cellar has been a favorite amongst Jax locals. Experience the old world charm of a French countryside as you dine beneath the shade of a majestic oak tree in their brick-paved garden. From scallops to chicken and pretty much in between you will soon see why this is so popular. Open from 10:30am-10:00pm, reservations are requested. V Pizza – With 3 locations in Jacksonville, this wood oven cooks up pizza in no time. Serving wings, salad and a small assortment of other menu items. V Pizza’s locations are basically open every day from 11:00 am-10:00 pm. Please check your desired location to check the closing time as hours vary slightly. Jacksonville Beaches – A little further from campus, but worth the drive. Beach Road Chicken Dinner – Some down-home fried chicken dinners, hearty sides, and Southern cooking since 1939. Don’t waste your time looking for a website because you won’t find one. Located almost directly on St. John’s River. Open daily at 11:30 am, closed on Monday. MOJO Kitchen BBQ – This casual branch of a local barbecue chain serves up smoked meats & showcases blues musicians. Deep dish bowls filled with baked beans, cole slaw, and ribs, don’t miss this flavorful location. TacoLu Baja Mexicana – A favorite with the locals and UNF students. This Mexican restaurant offers a wide variety of Mexicana food including delicious queso and incredible tacos. If you really want to experience heaven try their Carne Royale taco with a tasty Margherita! Closed on Mondays, you can expect a wait any night of the week. The Blind Rabbit – Hip bar & eatery serving gourmet burgers, upscale comfort food & whiskey in a sleek setting. The menu is filled with so many different types of burgers from a Whiskey Burger to a Mushroom Bacon Cheese Melt. Open 11:30am-2:00am daily.